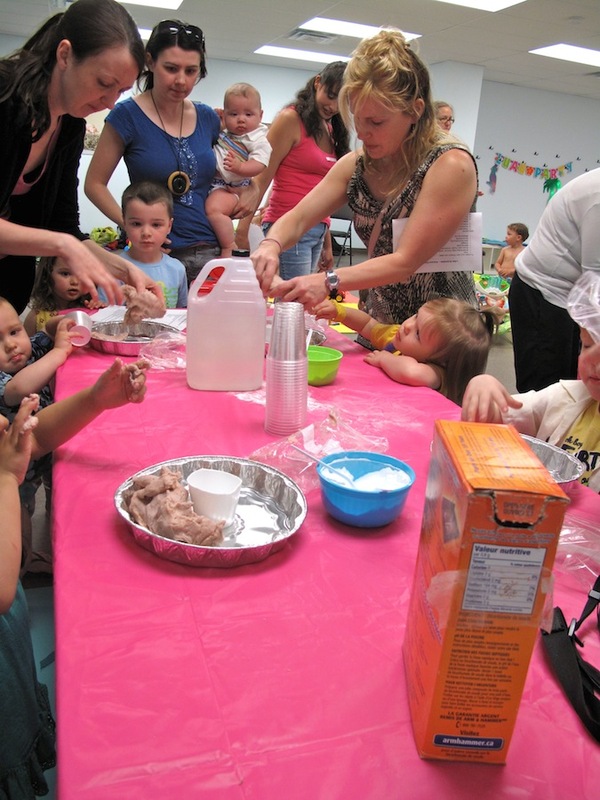 Here's a great activity you can do with toddlers to keep them busy this summer! Make a volcano. It's cheap, simple, fun and educational! We made these volcano's at our Little Scientists Program the other month and the kids loved it. It's a great activity if you have a Hawaiian themed Luau party too! Surround the jar with play dough. Form dough to look like a mountain (keep the top open). If you prepare ahead of time you can paint the dough to make it look like a mountain. Put 4 drops of red food coloring in the jar. Add 2 tablespoons of baking soda to the jar. Finally, add some vinegar to it to make it erupt! And be sure to have some Huggies Simply Clean Wipes on hand as it will get messy! There are around 1510 'active' volcanoes in the world. We currently know of 80 or more that are under the oceans. A special shout out to Huggies for sending us these adorable Hawaiian Special Edition diapers for the kids. Our little scientists had a blast! I love making volcanoes with the kids! Their eyes light up every time!